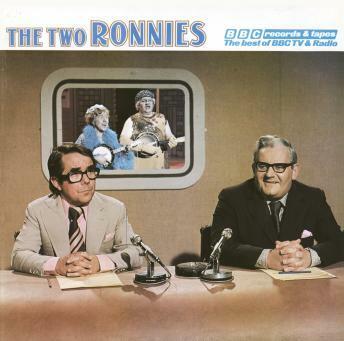 The Two Ronnies was one of Britain's most successful comedy sketch shows, and dominated the TV schedules for sixteen years between 1971 and 1987. This compilation of classics from the much-loved show includes the sketches 'The Strange Case of Mrs. Mace', 'Plain Speaking', 'Grublian', 'Dr. Spooner Re-Visited', 'A Doctor's Life' and 'About a Bout'. There's also 'Doctors Anonymous', 'Jolly Rhymes', 'The Complete Rook', 'Ronnie Corbett's Chat-Spot' and 'A Doctor's Life'. This recording was previously released on LP in 1976. Due to the age of the source material, the sound quality may vary.